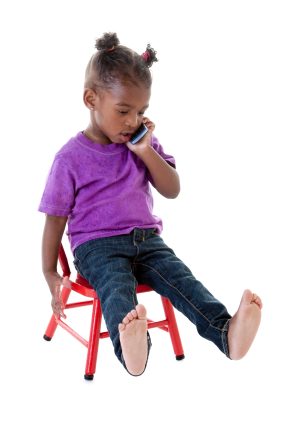 A speech-language screening provides us with a snapshot of your child’s communication skills. In this 15-20 minute encounter we can gain information about articulation, receptive and expressive language, fluency, social skills, and voice. If areas of concern are identified, an evaluation may be recommended. A speech-language evaluation can include a parent interview, oral-motor examination, articulation test, standardized receptive and expressive language testing, phonological awareness and reading fluency assessment, and language sample. This process can take 45-90 minutes to complete. Following the evaluation, parents will receive a written report, which details test results and makes recommendations. This evaluation will provide the information parents and therapist can use to determine if the child is a good candidate for therapy. Current evaluations from other licensed speech-language pathologists are accepted within 12 months of administration. Therapy looks very different for each child. Sessions may be conducted at home, preschool, daycare or private school. Some sessions are conducted individually with the child; others incorporate siblings, peers, caregivers or parents. Some children will require a few short weeks of therapy, whereas others may be in therapy for many months. Parents and therapist are to work together to continually adapt the plan of treatment to the child’s progress. Thank you for considering Central Florida Therapy. Please contact us to make an appointment or for more information.